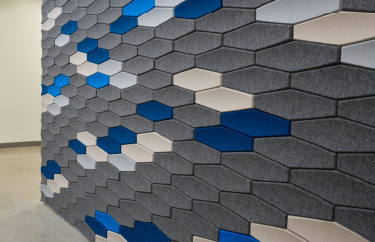 Sourced from a naturally-occurring renewable resource, the color and softness of Merino stands out and can be applied to a variety of 3form solutions to add acoustic properties, color, or texture. 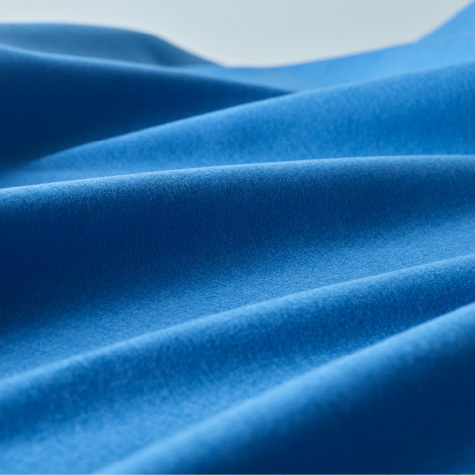 Merino Felt comes from Merino wool that is dyed and cut to specifications. 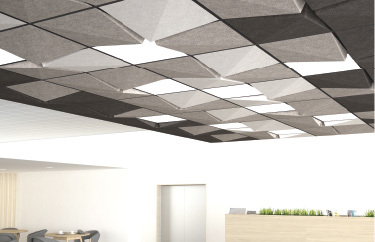 Merino plays a supporting role when adhered to another 3form solution; we apply it to any number of our applications to add acoustic performance, and a touch of softness. Merino Felt sports a Class A fire rating, and is available in 30 carefully curated colors. 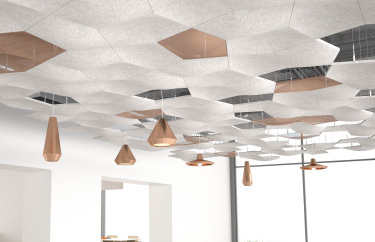 Suspended modular forms define space with color and material options, creating an opportunity for dynamic design. Sophisticated panels and tiles bring impact to spaces with dramatic pattern, texture and color.